A healthy lifestyle is very difficult dipratikkan in the current era. A very solid activity, makes some people forget that the health body has important values. That is because health is a priceless grace but sometimes we forget to keep and mensyukurinya. But having healthy bodies is not necessarily an expensive cost. 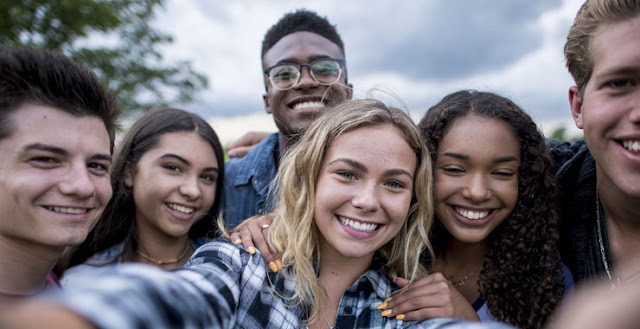 When we pay attention to the teenage lifestyle at this time would be very much different when compared with teens in the past seen from several aspects such as eating habits, living activities, how to spend leisure time and how to dress. Teenagers now a generation of technology. 5 teens prefer to watch TV and play games rather than reading a book. Teenagers prefer to spend your free time in front of computers rather than physical activity. If seen from the habit of hanging out with his friend, teenagers prefer a place like fast-food restaurant. Such activities resulted in a negative effect for health. Eating too often in fast-food eateries, it is definitely unhealthy habits fast food because it contains more fat and sugar. Not infrequently it causes obesity. Teen is a very valuable asset for the nation in the future. Most of the teens believed that the disease will come when their age is old. Actually thought like that is a big mistake because the disease regardless of who that person is and how his age. The age of adolescence is the period of the gold quest of identity that is very fun. In this phase, teens can be more productive and do different things. However, only a few teens who are concerned about the health of the body. In Indonesia, one-fifth of the total population are teenagers who could risk without being aware of the long-term consequences of such behaviour. Teenage adopted risky behavior through socialization of unhealthy and directional information. Modernization has sides that can be beneficial or detrimental. Based on earlier research data shows that many adolescent health problems stem from the habit of smoking and drug abuse, interpersonal violence, accidents, as well as unsafe sexual relationships that could lead to sexually transmitted diseases such as HIV/AIDS. Decrease in the quality of life of adolescents today, for example health status is very bad for the quality of the current family and also a family in the future. Why? 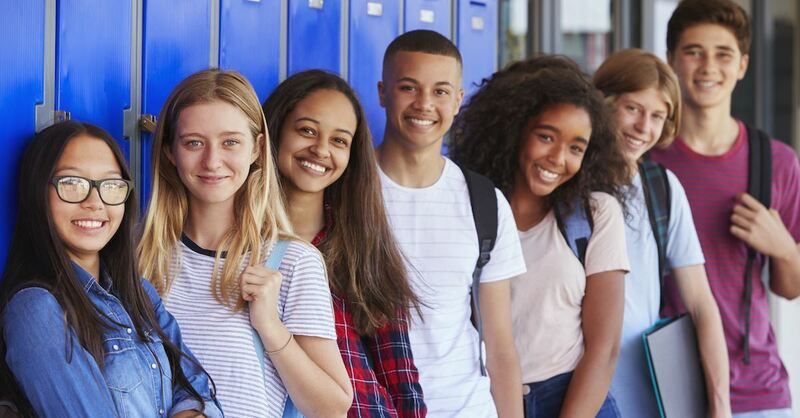 Because teens are not healthy both physical and mental state can give birth to offspring that are not healthy, for example suffer from malnutrition or certain diseases. Problem identification risk behavior on health in more early is very important to prevent health problems that will occur if not immediately addressed. How to live a healthy life pattern right surely is a frequently ask you to various health-related resource instead? This question also makes everyone become curious, how can it be healthy, if the pattern of his life just isn't healthy. Actually the true life is not hard but it is not easy, as each body has different characteristics. According to Kemenkes the year 2015, adolescence being in its infancy is certainly in need of a balanced nutritional intake so that healthy, growing optimally, and to avoid nutritional problems such as anemia, obesity, and lack of nutrition. So, the already familiar kah how lifestyle and patterns of the young life today as what? Let's be positive with teens who apply the lifestyle and pattern of healthy living. If not we Yes who else. HEALTHY Greeting! Maintaining health for us certainly will be more profitable than we will treat the disease in derita. Because the benefits of maintaining health for us, among others, is that we can do all the activities of our daily lives with better and optimal. Well connected with our work or else related to the hospitality of the family and also in maintaining social relationships with our communities. Some of the benefits of living a healthy life can we get with the way we do maintain health among other things is we reduce spending. Surely this will save costs. Because when we get sick then it will be a lot of costs that must be incurred to perform the treatment. In addition also with deliciously healthy we have and should be grateful we would be able to take advantage of to increase our faith and devotion to God with many doing worship and also the practice of kindness. So many favors that God has granted to us all. And favors the largest is faith and Islam as well as deliciously healthy. And the way to show we are grateful for the favours of this healthy lifestyle is to do a variety of things and how to maintain body fitness as well as the health of ourselves and our families and our health in General as well. Running pattern of healthy living. What is meant by understanding the pattern of healthy living is all our life activities in carrying out a healthy life both in terms of a good diet and also our daily patterns that reflect a healthy life. Be it in sports activities that are beneficial to maintain health and also avoid things that can bring in diseases for our bodies. Consume Healthy Food and Fruit as well as nutritious. The consumption of foods that are healthy we can do with multiply green vegetables, fruits and avoiding various types of fast food. To be able to live healthy, especially in terms of eating patterns then we need to really be selective in choosing a wide range of different types of food. Avoid foods that are high in berkolesterol is also good for our health especially to our heart health. For that is the necessary way of healthy eating patterns and tips as well. There are several types of illnesses caused by trigger in and because of the lack of sleep. For that is so that our body awake and kebugarab remain in conditions fit then don't forget to take a break to sleep. In a State of sleep is good, then this will be shutting down all activity of our body both physically and mentally. Avoid Habits that damage health. There are some habits that are harmful and detrimental to the health of our body. One of them is smoking and drinking alcoholic beverages and also customs relating to DRUGS (narcotics, psychotropic drugs, addictive substances). This is what we must consider when we really want health always accompany the activities of our daily activities properly. Exercising regularly is very beneficial for the health of our bodies. By exercising it will be able to stimulate the heart, respiratory and blood circulation becomes better again. Accustom yourself to work out every day with mild activities can we do an example such as walking, gymnastics, fitness, jogging, biking, or doing a full sports such as badminton, play football, run a marathon, tennis ball basketball, etc is a part of the way to maintain the health and fitness of our body. We pretty much know the benefits of drinking water for health. We have advocated for health are taking in white water in now is nothing less than 8 glasses. White water is excellent for cleaning and repair and keep our digestive health. As well as the content of nutrients, oxygen in the water is good to smooth our blood circulation. Belum ada Komentar untuk "Healthy Lifestyles In Teens"